The latest 3D Disto software upgrade has landed. Version 4.0 for Windows offers a clear 3D view with some basic CAD tools to help measure, move and still be extremly accurate. 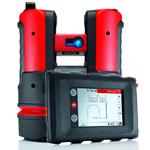 Just turn on and start measuring, the Leica 3D Disto has never been easier.